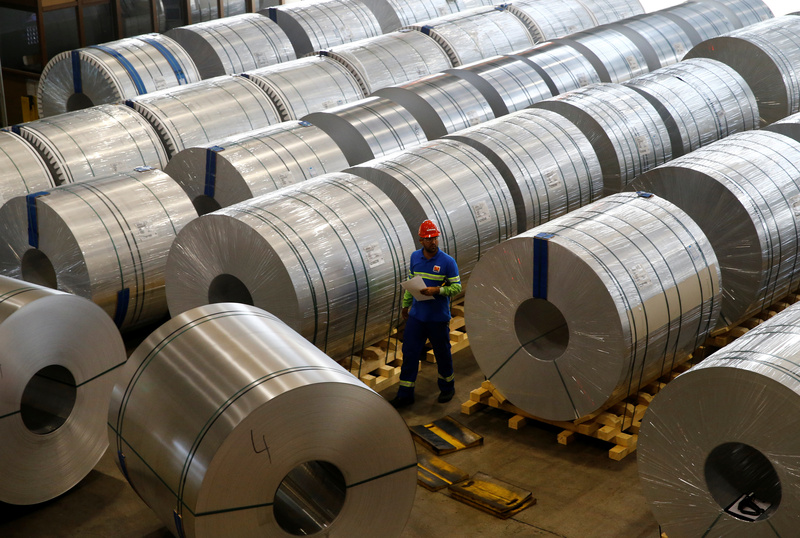 A staff checks finished aluminum coils at the facility of flat-rolled aluminum products maker Novelis, part of Aditya Birla Group, in Sierre, Switzerland, September 12, 2018. Arconic said on Jan. 22 that its board had decided to no longer pursue a potential sale of the company as part of its strategy and portfolio review. The engineered-materials company rejected an offer of $22.20 a share from private-equity firm Apollo Global Management, saying the bid was inadequate, Reuters reported citing people familiar with the matter. He said the board would continue with its previously announced plan to sell its building and construction systems unit. That business supplied aluminum cladding to Grenfell Tower, a London high-rise apartment building that caught fire in June 2017, killing more than 70 people.